Two advanced skin rejuvenation treatments are combined to produce optimal results. eTwo (E2)combines Sublative & Sublime technologies for skin resurfacing, toning, acne scars, stretch marks removal and wrinkle reduction. The eTwo™ treatment combines Sublative Rejuvenation (eMatrix Resurfacing) and Sublime Skin Contouring (formerly known as ReFirme) treatments. Treatment with eTwo™revives your skin to appear more youthful. eTwo (E2) is a treatment that uses radio-frequency energy (electrical as opposed to laser, which is light energy) to deliver an effective fractional and tightening treatment to reduce fine lines, wrinkles, pores, stretch mark and acne scarring. Sublime Skin Contouring (formerly known as ReFirme) is a treatment that combines infrared light with radiofrequency to firm skin as well as tighten lax skin. The combo eTwo treatment is excellent for skin of any color and has little down time or disruption of daily activities. Discomfort is minimal. eTwo™ (E2) is a treatment for those who would like to improve wrinkling and sagging of the skin, reducing pore size appearance, and diminish stretch marks or acne scarring. The eTwo combines the Sublative Rejuvenation (eMatrix Skin Resurfacing) and Sublime Skin Contouring (formerly known as ReFirme) treatments to reverse aging. 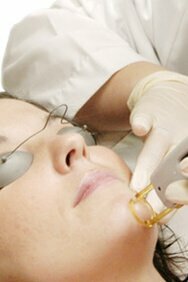 eTwo includes treatments of both eMatrix and Sublime. The Sublime treatment uses the combination of light energy and radiofrequency energy to deeply heat layers of the skin while protecting the surface of the skin simultaneously. Medium to deep heating of the skin activates fibroblasts (deep skin cells) signaling new collagen to form and existing collagen to tighten, which could occur over a 4-6 months period. The benefits include smoother and brighter skin, with smaller appearing pores, less scarring and finer and less deep wrinkles. In addition, lax skin may be tighter as well as firmer. Typically results become noticeable over a period of three to six months but some patients have seen results immediately after treatment. The procedure is mildly uncomfortable. Side effects are redness and swelling after the procedure that lasts from hours to days, and occasionally even up to few weeks, depending on the body parts and required energy for each treatment. Most patients have redness and swelling with eMatrix for a few hours to 3 days after the treatment (on body may last longer). You may apply make-up to the treated area immediately after the Sublative rejuvenation procedure. Tiny crusts develop and are present for about 5-14 days, but these are easy to camouflage with makeup or even without it after the first one to two days. Results could develop over time and with subsequent treatments. Full results may be appreciated at three to six months following the last treatment. Maintenance treatments may be necessary. May this be combined with other treatments? The eTwo is already a combination of two treatments with the goal of reversing the effects of aging and scaring. However, mesotherapy and PRP could be added to this treatment.